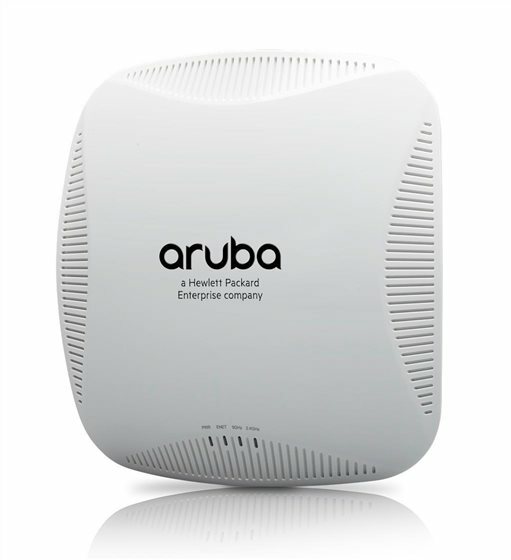 These compact and cost-effective dual-radio APs deliver wireless data rates of up to 1.3 Gbps to 5-GHz devices with 802.11ac technology. They also support 3x3 MIMO with three spatial streams as well as 2.4-GHz 802.11n clients at data rates up to 450 Mbps. The AP-215 and IAP-215 models have three integrated omni- directional downtilt antennas per radio, while the AP-214 and IAP-214 support external, detachable dual-band antennas using three RP-SMA connectors. AP-215 and IAP-215 Specifications: 2.4-GHz (450 Mbps max rate) and 5-GHz (1.3 Gbps max rate) radios, each with 3x3 MIMO and three integrated omni-directional downtilt antennas.